V’s G to Ms is bringing us ten shitloads of awesome new content. 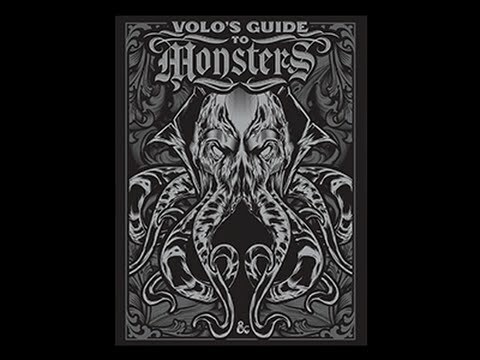 Yes – Volo is actually the narrator of this new Monster Manual, a strategy which Wizards hopes will tie together the whole book with a light narrative and make it more engaging for Dungeon Masters and players alike. Volo’s Guide will have three distinct chapters, one of which will detail monster lore and backstories, another that covers a bunch of new playable character races, and the last of which introduces almost 100 new monster stat blocks. Volo’s Guide To Monsters will set you back 50 bucks, and you can grab it on November 15th via online stores like Amazon, digital platforms like Roll20, or in your neighborhood hobby shop – which will stock a store-exclusive, single-print, limited edition, alternative-art cover. Personally, I think it’s absolutely worth forgetting about the couple of bucks you might save on Amazon to get it, because the art itself (pictured in the header above) is totally badass. If you don’t live in a neighborhood that has a hobby shop, you should move to a neighborhood that has a hobby shop. Sold yet? Let Chris Perkins (@ChrisPerkinsDnD) know on Twitter that he should send us a free copy of the book for this amazing preview blog, and go follow us too at @WickedGoodGames. We love you. Thanks for reading.